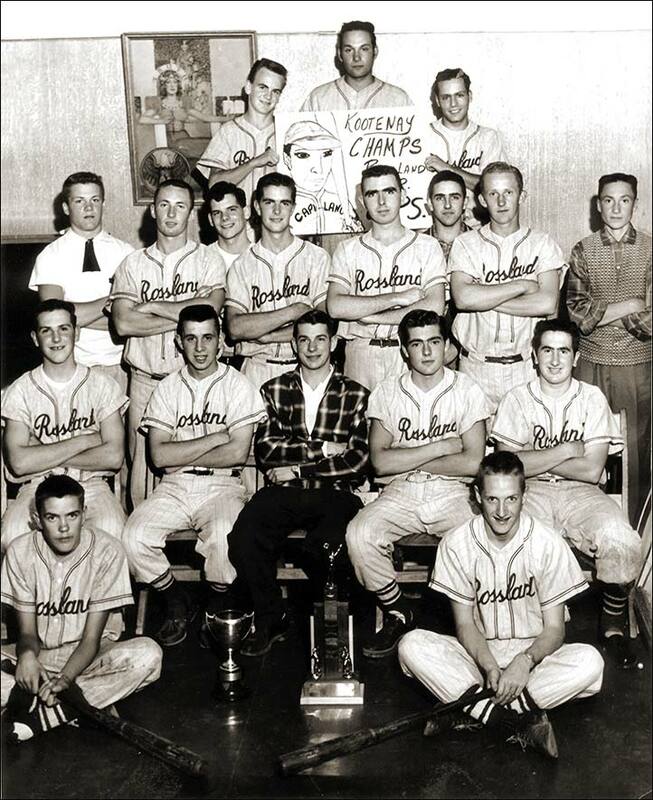 Rossland's Junior Capilano Baseball Team, Kootenay Champions, September 1957. Back Row (left to right) - Cliff Taylor, Alf Albo, Bobby Profili. Center Row - Dave Flanagan, Lloyd McLellan, Ken Grieves, Jack Ling, Les McDonald, Larry LeFace, Denny Vanness, Gerry Legare. Seated - Ron Fabbro, Lou Campana, Jim Driscoll (Coach), Bobby Haymond, Denny Ferrey.